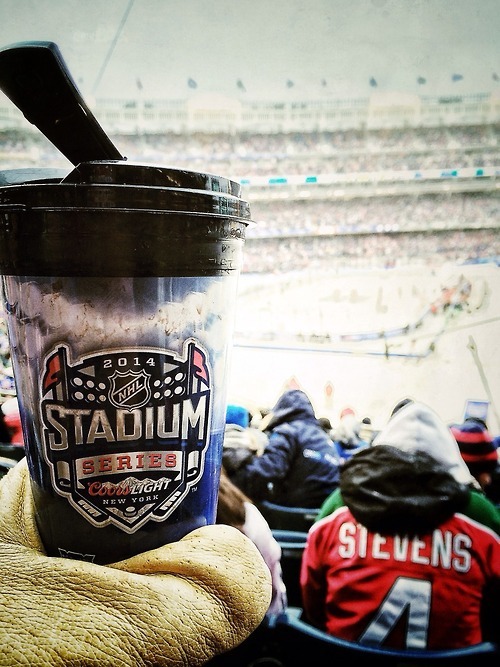 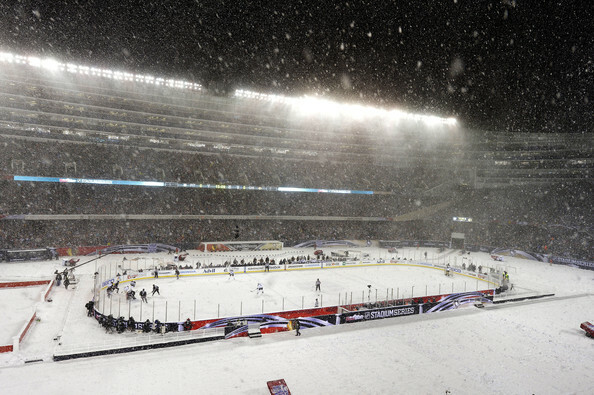 I worked with a small team in Berkeley, CA and contributed to the design and production of 3 major NHL Games: 2014 Winter Classic, 2014 Stadium Series Chicago and 2014 Stadium Series New York. Our goal was to create an amazing atmosphere that was memorable for hockey game attendees. 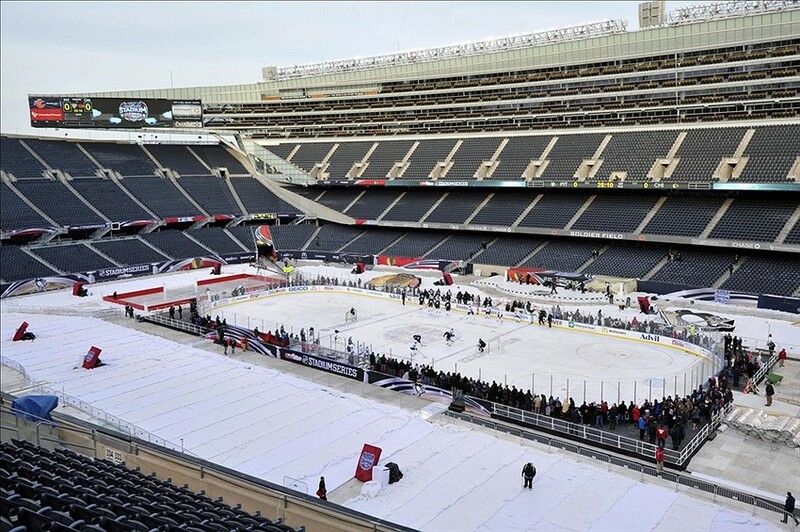 This video shows many shots of my work in the 2014 NHL Chicago Stadium Series. 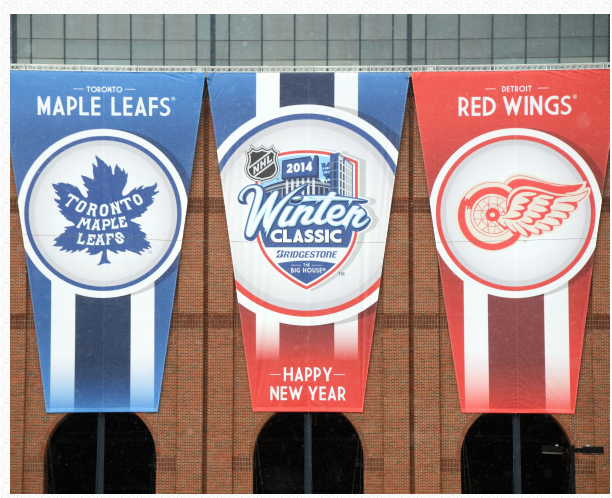 In addition to wrapping an entire stadium with graphics, you can see event promo designs, flag designs, performance stage graphics, and a rink wrap designed for the NHL. Video is copyright NHL. 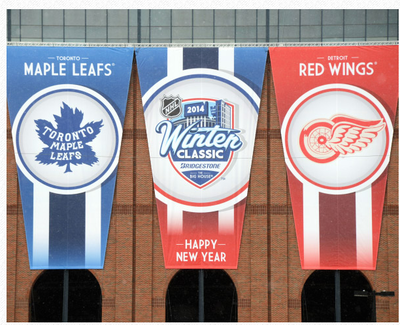 Michigan Stadium M-Board Design approximately (80' x 100')!! 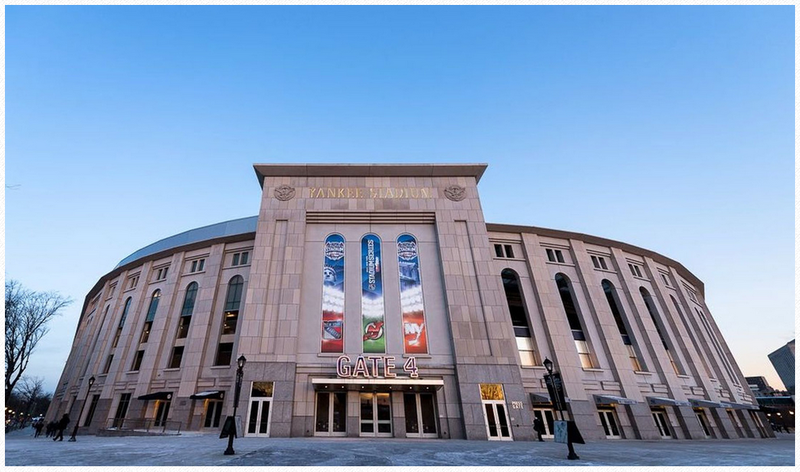 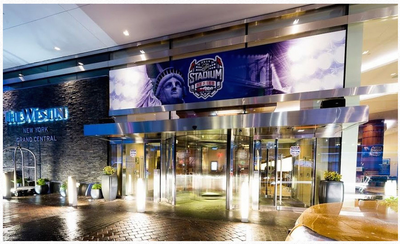 Stadium Series sponsored hotel, NYC Westin Grand Central Designs. While our designs scale to thousands of feet, they also look good in your hand!